and Figured Maple using a unique Bloodwood Inlay. 3 inches wide by 3/4 inches thick. 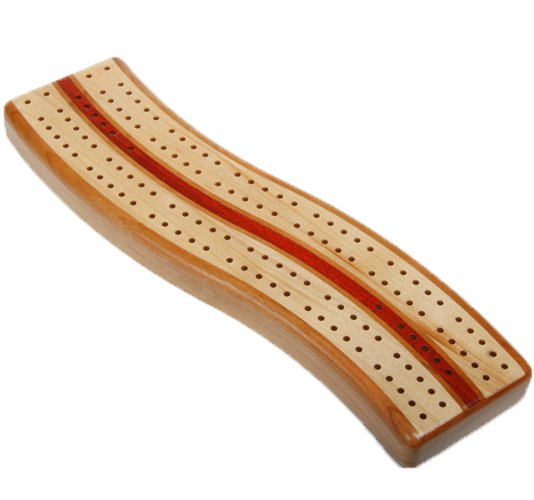 Cribbage Pegs under the board.